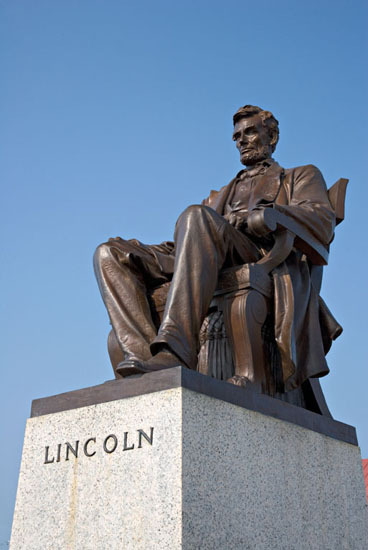 The centerpiece of the public square in Hodgenville, Kentucky is this bronze statue of Lincoln. The town square was totally renovated in preparation for the 2009 bicentennial of Lincoln's birth. He was born just a few miles from this site.